Making dream tea can help improve dream recall, increase the number of dreams you have, and help you with any special dream work you may be attempting, such as lucid dreaming. This dream tea is made with three different herbs: mugwort, chamomile and peppermint. Mugwort is believed to increase the frequency and clarity of dreams, and it is also popular with lucid dreamers. Chamomile helps you relax and get to sleep more quickly, while peppermint improves the taste of the dream tea and has also been associated with dreams. Use this method to create a dream tea blend, which should be brewed just before bed. This recipe yields enough for three cups of dream tea. Combine1 tbsp. of dried mugwort, 1 tbsp. of dried chamomile flowers, and 1 tbsp. of dried peppermint in a glass jar with a lid. Stir or shake to ensure all the herbs are mixed well. Take 1 tbsp. 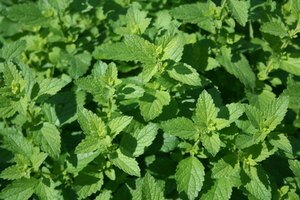 of the herb mixture, and place it into a coffee mug which can hold at least 8 oz. of liquid. Boil 8 oz. of water in a tea kettle or small sauce pan on the stove top. Pour the water over the dried herbs in the mug, and allow the mixture to sit for 10 minutes. Strain the dream tea into a second clean coffee mug. Discard the spent herbal material in the compost bin or garbage can. 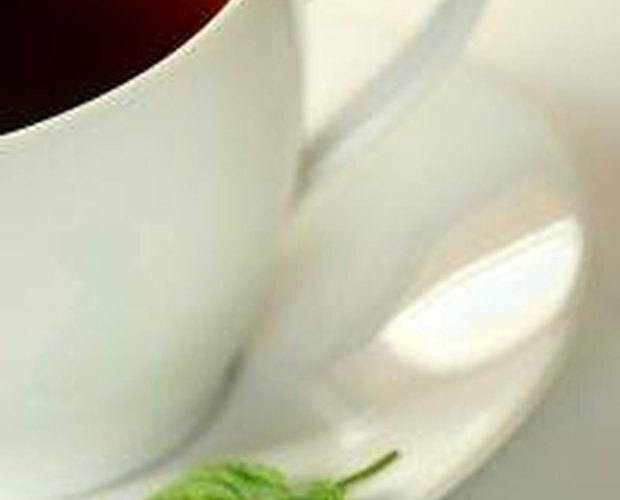 Add honey to sweeten the dream tea, if desired, and drink immediately before going to bed. Label the glass jar with the contents and store in a cool, dry place until ready to use again. Drink the dream tea every night before bed for best results. Herbs work gently, so it may be a few days or even weeks before you notice improved recall, clarity and frequency of dreams. 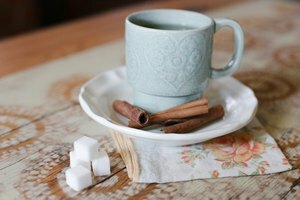 Make a larger batch of the dream tea blend if you plan on drinking the tea regularly. Simply combine equal parts of all three herbs, and use 1 tbsp. of the combination per cup of dream tea. The dried herbs used to make dream tea can be found in local natural health stores or ordered online if you cannot find them locally. Do not drink the dream tea before going out or driving. The chamomile is a relaxant and may make you drowsy. Drink only before sleeping.